Our Printed Wedding Place Cards are a classic way to help your friends and family to find their seats at the table. 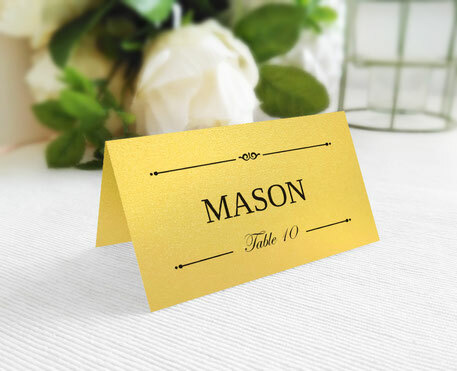 Personalized place cards, size 3.5x2 when folded. Printed on premium white card stock (110lb). Select the number of cards you need (minimum order is 70 printed wedding place cards). 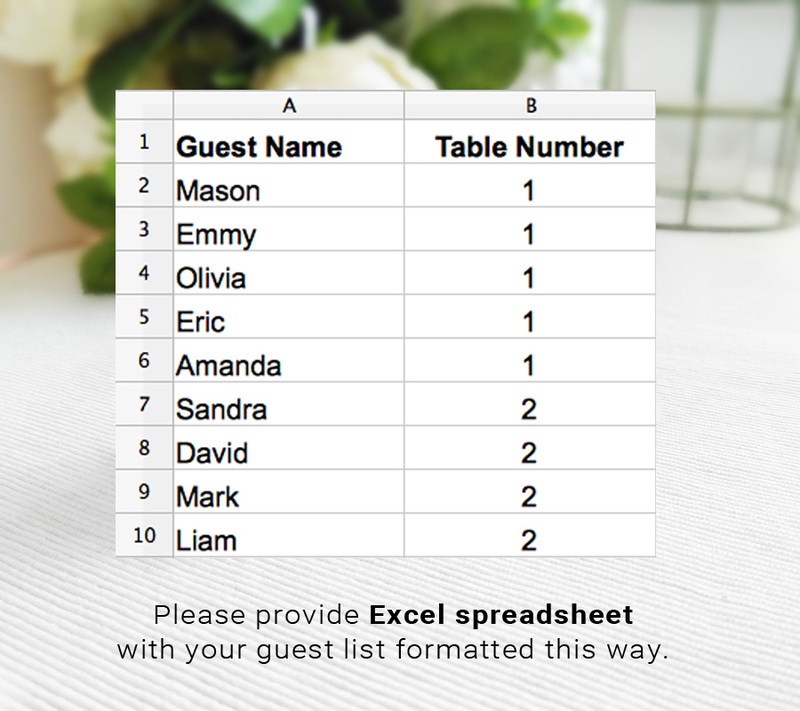 Please format guest list spreadsheet as shown on the listing sample image. Your order will be printed and shipped within 3-4 days after proof approval. Expedited delivery: 2-4 business days only!